A homemade explosive device has detonated in the Yemeni city of Marib killing two and injuring more than 10 people attending a funeral ceremony. 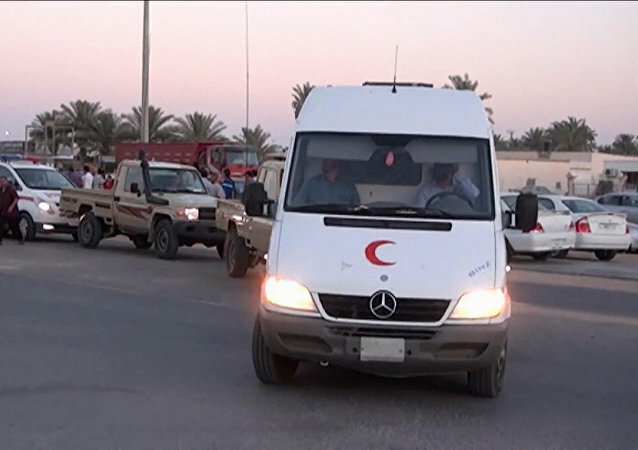 A car bomb explosion near the presidential palace in Yemen's Aden killed at least six and injured another 10 people on Thursday, Al-Arabiya reported. 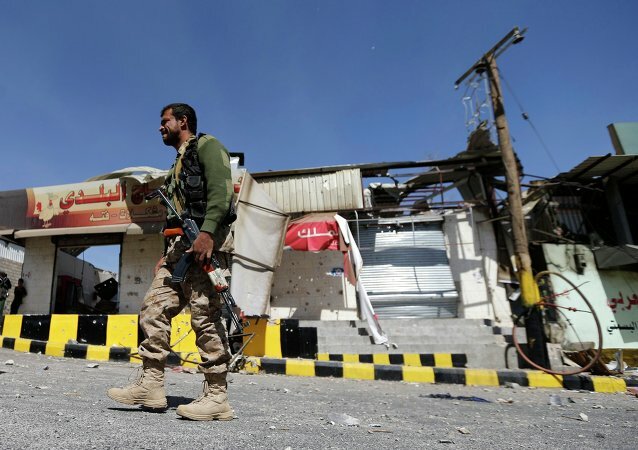 Fighters loyal to the exiled Yemeni government are continuing a northward advance against Iran-allied Shi’ite Houthi rebels, and are closing in on recapturing the group’s stronghold in the capital city of Sanaa. Yemeni forces loyal to deposed President Abd-Rabbu Mansour Hadi continue to make significant gains in the south, recapturing more territory from Iranian-allied Shi’ite Houthi rebels. Members of Yemen’s exiled government say Saudi-backed fighters have recaptured the strategic port city of Aden from Houthi rebels on Friday, marking a significant shift in an intense conflict that has torn the country apart. But Houthi leaders are contesting the claim, saying the fight is still on. In an unprecedented move, the Chinese military sent a warship to Yemen to evacuate 225 foreign nationals from the conflict-ridden country. Saudi Arabia amassed heavy military equipment and artillery near its border with Yemen, showing signs of an impending military intervention. A formal go-ahead for the invasion might be given on Thursday by the Arab League. 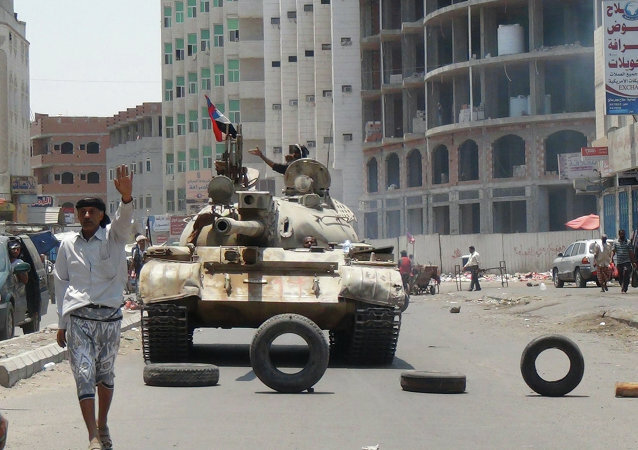 The United Nations Security Council will hold meeting on the situation in Yemen on Sunday. Abd-Rabbu Mansour Hadi left his official residence in Sanaa and flew to the town of Aden. A local parliament source said that Yemen’s parliament will vote on President Abd Rabbuh Mansur Hadi’s resignation during an emergency session on Saturday. A member of the Houthi opposition movement's political council announced that Shiite militants in Yemen would withdraw their forces from the presidential palace in Sanaa. 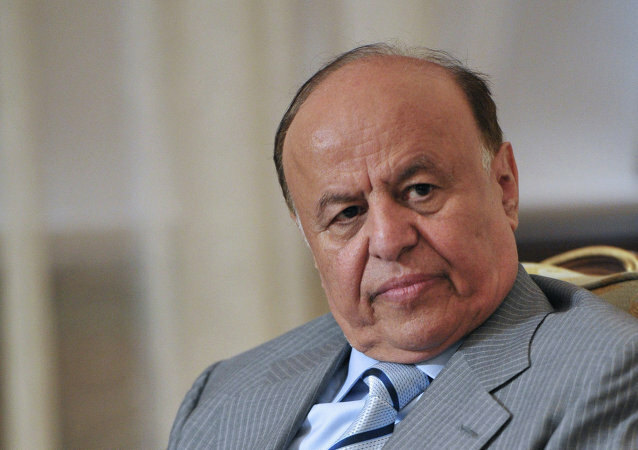 US Department of State spokesperson Jen Psaki announced during a press briefing on Wednesday that President Abd Rabbu Mansour Hadi remained the legitimate leader of Yemen and the US kept in touch with him. The UN Security Council has condemned the recent violence in Yemen and urged all parties to implement a full and lasting ceasefire. 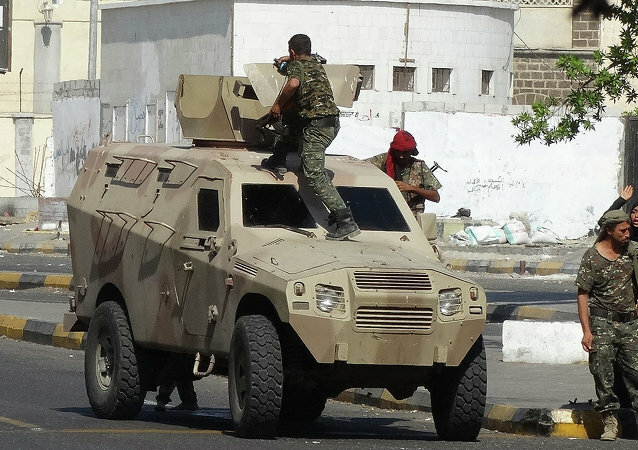 Yemeni security officers shot and killed Khaled al-Junaidi, a prominent secessionist leader, on Monday, December 15 in the southern city of Aden. Amnesty International, a human rights organization has slammed the Yemeni authorities for "extrajudicial execution." Russian and Yemeni leaders have discussed the issue of cooperation in training personnel to fight terrorism and considered possible steps for reconciliation of the political crisis in Yemen. Several explosions rocked Yemen’s capital and military bases today in an alleged response from Al-Qaeda and their Sunni affiliates to the growing political influence of the Shi’a Houthi rebels, supported by Iran, and which ultimately may trigger a full-scale conflict between local Sunnis and Shi’ites akin to Syria. Yemeni President Abdrabuh Mansur Hadi appointed the director of his office, Ahmed Awad bin Mubarak, as the new prime minister of the country on Tuesday. Changes to the number of candidates is the main reason causing delays in the appointment of a new Yemeni new prime minister, a senior government official told RIA Novosti Tuesday. The divide between the political parties and Yemeni President Abd Rabbuh Mansur Hadi is one of the reasons causing delays in the appointment of the country's new prime minister, a number of local journalists and political analysts told RIA Novosti.